Following yesterday's release of iOS 12.2 and macOS 10.14.4, and the launch of the Apple News+ subscription service for magazines and newspapers, some users are reporting that the Apple News app is crashing on both platforms. The issue has been noted by readers in the MacRumors forums and on social media platforms like Twitter and Reddit since early Tuesday. Apple appears to have informed some customers that it is aware of the problem and working on a fix, although its system status page does not yet reflect any issues. There do not seem to be any workarounds that resolve the crashing for more than a few seconds, so affected users will likely have to wait on Apple for a fix, which developer Steve Troughton-Smith believes could arrive remotely. The crashing is likely related to some kind of technical hiccup following the rollout of Apple News+ yesterday. 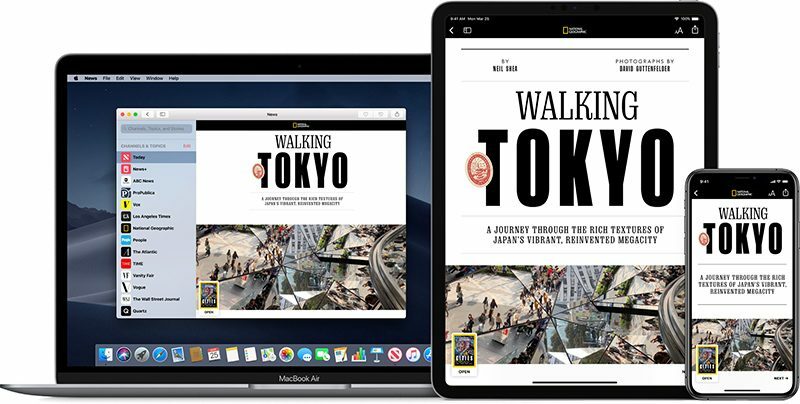 The subscription service offers unlimited access to hundreds of magazines and newspapers for $9.99 per month in the United States and $12.99 per month in Canada within the Apple News app on iPhone, iPad, and Mac. Update: As noted by Rene Ritchie, Apple has fixed the crashing issue. Give them a break guys . . . they literally just invented digital magazines. And Oprah. And credit cards. And streaming television. That's a lot of things to invent in one day. This is a complete fail by Apple. Relax, it is a frigging free news app. You'll live without a few hours of propaganda. I'm not even mad or disappointed anymore. This is exactly what I've come to expect from Apple nowadays. I'll just wait for the fix, that is, if they will fix it at all. For all this I still prefer Apple over others. I just wish the best is better than this. If only there was a suitable emoji to express how useless this makes apple look. :mad: Hire some decent programmers. On the surface that sounds fine but in reality you can have the best programmers and this still happens. You can test and test and test until you're blue in the face and still run into a production issue, it happens with even the best of planning. We had something similar recently where I work. 6 straight months of testing both with future end users and the QA group and not once was a very specific bug found until it was released to all end users. This is why "triage" teams are available after the launch of every piece of software. If a production bug is found and its a serious one they're on hand to find it and patch it immediately. It may not even be a bug in the software, it could be on the production servers. Any programmer will tell you that different dev environments despite needing to be similar, never are and there's always something that works in dev that doesn't work in prod. Seemingly, Apple has stopped testing software before its released. Maybe this is just another way to show how much Tim Cook loves us. Give Apple a break, they're a small company with limited resources and people.